To date, the growth of MGLW has been largely down to building strong relationships with our clients and continually improving our knowledge of the industry, as well as of the products we work with. Both of which we continue to value highly. MGLW was founded nearly 30 years ago by brothers Joao and Rogerio Moutinho. Setting up in the UK, they started by trading stone from their native Portugal. 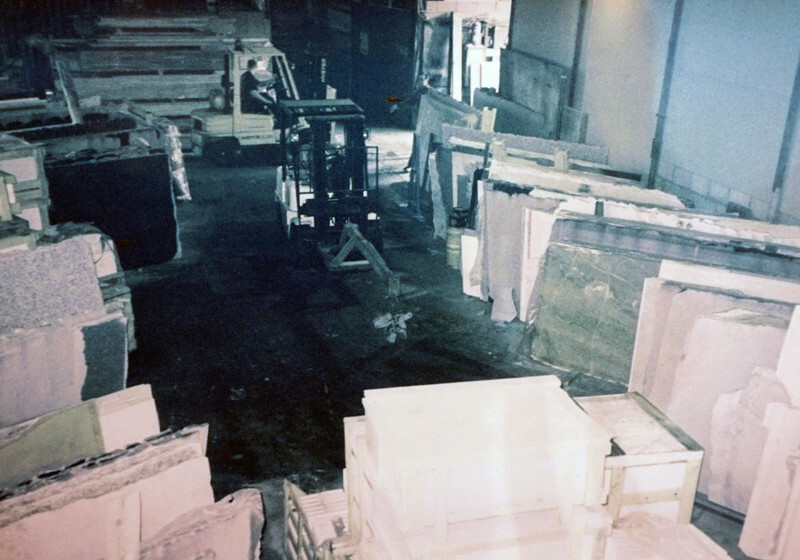 What they discovered was a growing market for stone and an opportunity to branch out in order to provide more exotic and unique stone surfaces. 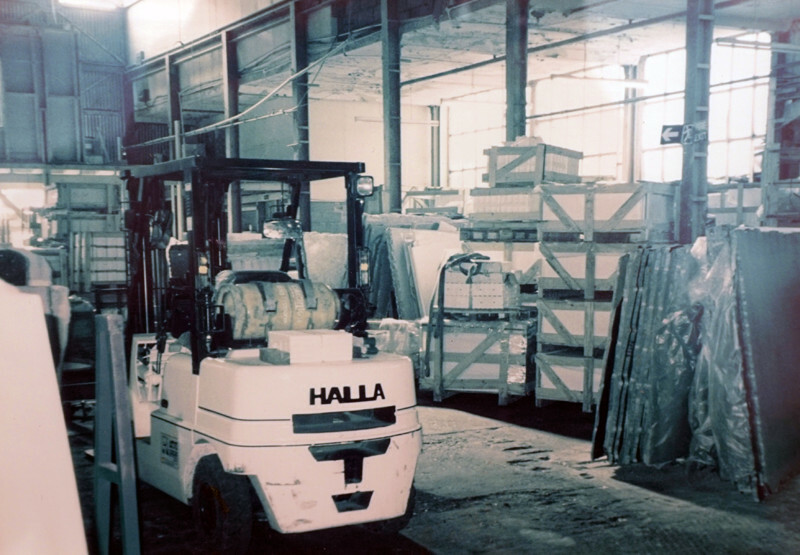 A lot of early success was down to working closely with and co-operating with local stonemasons and others in the industry, then eventually the opportunity came to move into premises of their own, which they grabbed with both hands. Being located in one of the design capitals of the world enabled them to connect with a lot of different people within the industry but it was also the service provided that meant a reputation would be built largely upon recommendations and word of mouth. 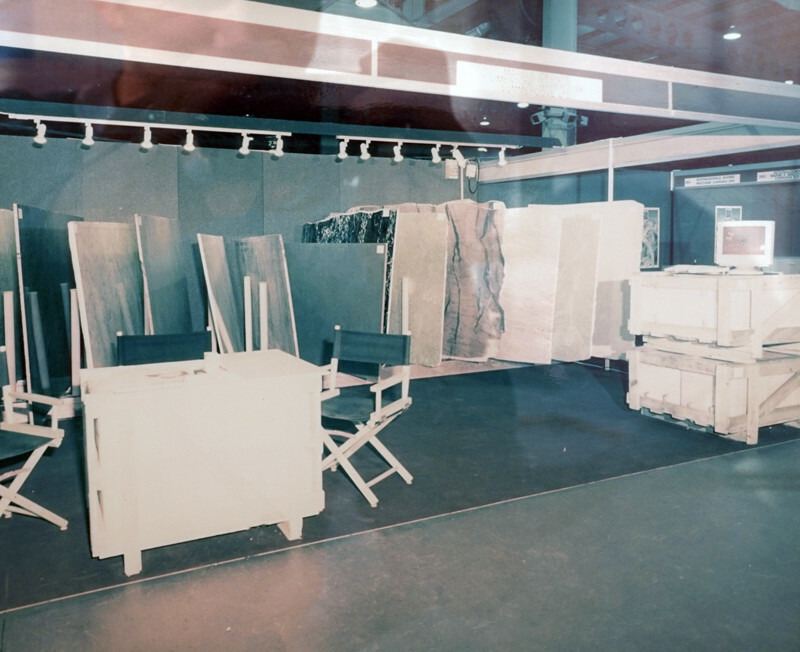 Further connections have been made over the years from visiting quarries, suppliers, trade shows and events all over the world, which has enabled us to stay in a prime position in the industry. 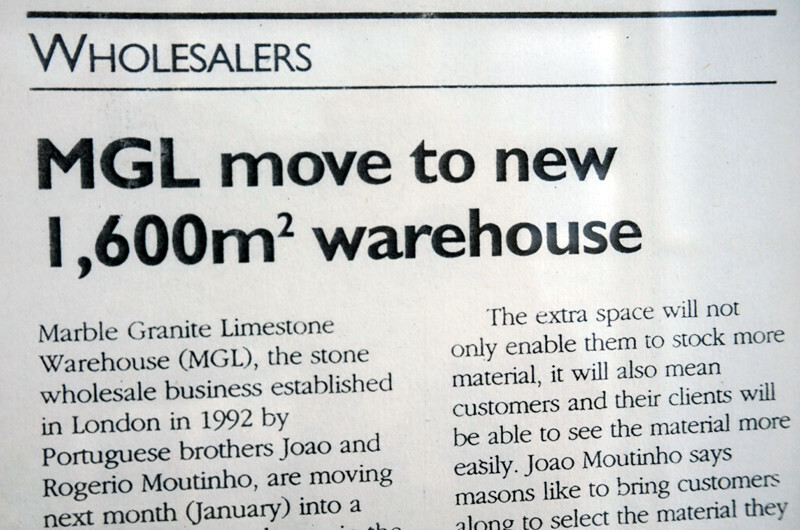 MGLW were featured by Natural Stone Specialist magazine among others in the early days, when we were first gaining momentum in the industry and settling into our new London location. One headline from an article in May 1998 reads “MGL make friends”. This was due to the emphasis we placed on working with customers to provide the clearest and best service possible, as well as forming bonds with neighbours in the industry in London. Relationships that helped them to thrive and that still exist to this day. Innovation in the materials offered has also been vital for success over the years. Going out to visit different stone quarries all over the world means you get to see exciting new materials that may not be on offer in the UK at the time. Building up an impressive knowledge of stone meant calculated risks could be taken on materials to import. 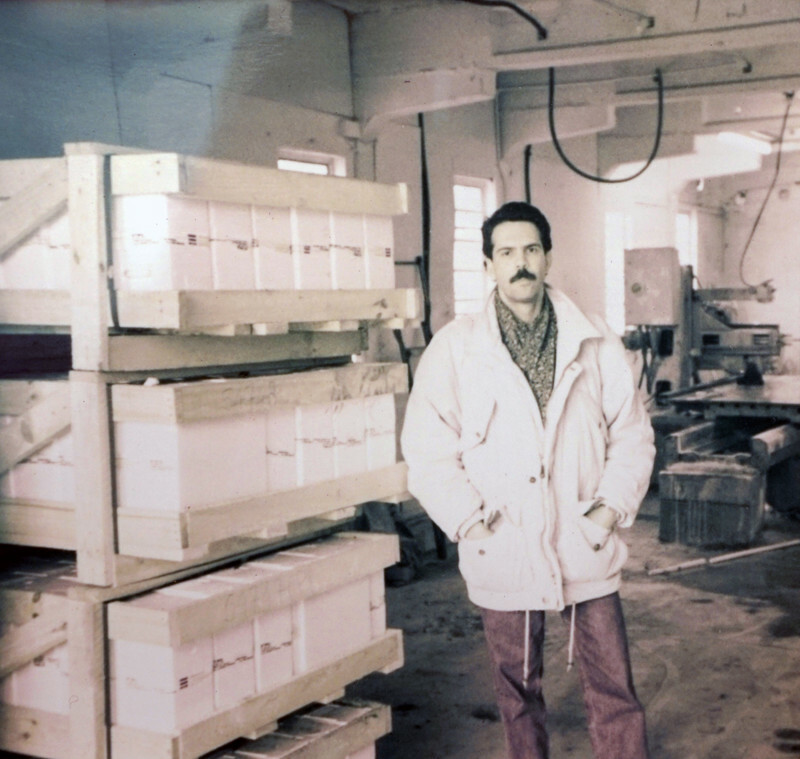 Rogerio has been described in the past as a “walking, talking encyclopedia on stone”, with a breadth of knowledge, accumulated over the years of working in the industry. This is something that we hold as an example to the whole team. Given an image of a material, Rogerio is often able to put a name to it immediately. Something he attributes to an almost photographic memory. We place a strong emphasis, within the team, on the knowledge and insight that we can provide for our clients. As such, this is often something commented on by clients themselves. It is the collective knowledge of our team that is one of our best attributes, something which is derived from passion for the industry and hard work to continually improve.